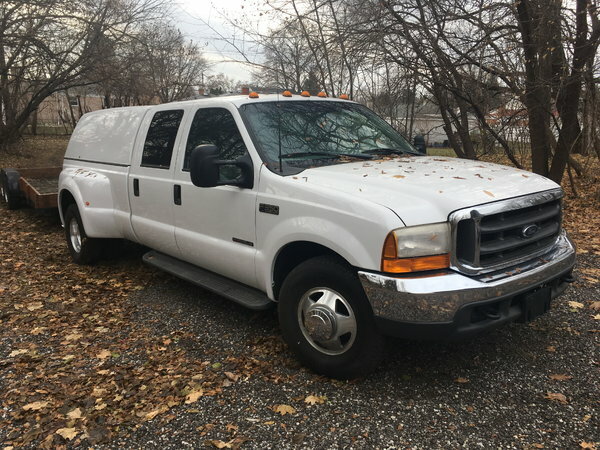 7.3 powerstroke.6speed manual trans. Two wheel drive, dually. 4 door w/grey cloth interior. Set up for gooseneck and fifth wheel. Fiberglass cap included.No rust. Highway miles.